Join Andy Mossack in this three part series as he drives the iconic 1,600 kilometre Grand Tour of Switzerland, a unique route now made even more accessible by new bespoke road signs throughout Switzerland. 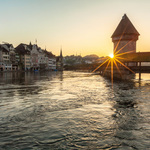 You can take the Grand Tour of Switzerland in either direction, but as this is after all, the country of clocks, I thought it more fitting to go in a clockwise direction. 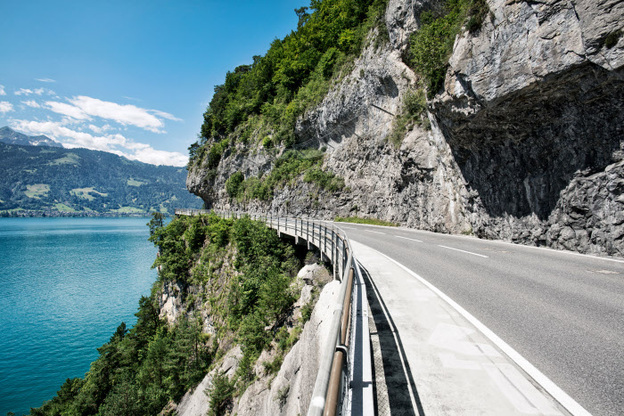 A unique drive covering Switzerland’s must-see destinations, but taking local roads wherever possible. And to make it even more of an adventure, I’m avoiding using maps and GPS, just following the brand new Grand Tour road sign network and my bespoke Grand Tour travel guide. 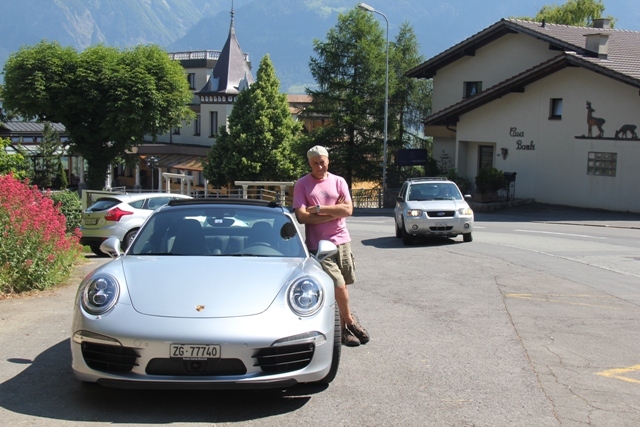 Of course, the best way to drive the Grand Tour of Switzerland is to stay in Switzerland’s legendary Grand Hotels along the route, so, to get the full Grand Tour experience, that is exactly what I’m doing. 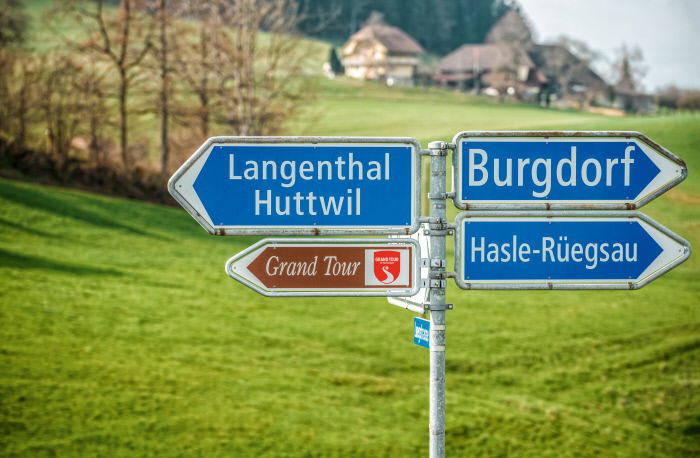 Oh the joy I feel after just ten minutes, as I spot my first Grand Tour sign high up on the airport expressway pointing me off towards Winterthur and Zurich’s vineyard region. In no time I’m amongst peaceful vines and fields as we pass Winterthur, sounding more like a Game of Thrones location than a Swiss town. 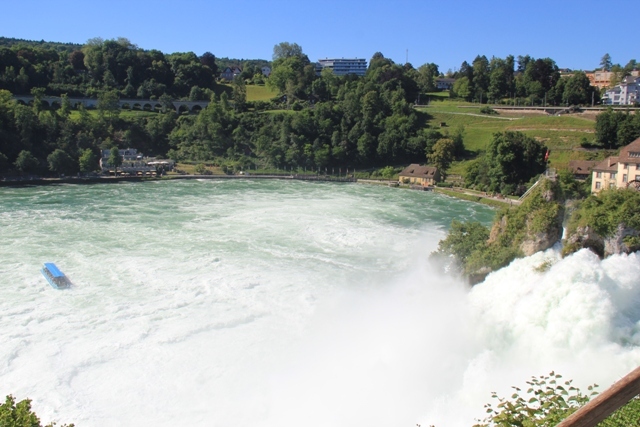 After a pit stop for lunch in the delightful hamlet of Kleinandelfingen, we make our first stop at the Rhine Falls in Schaffhausen. Watching 700,000 roaring litres of water cascade every second from the safety of the path around Laufen Castle is impressive enough, but looking at the small tourist boat engulfed in spray as it inches closer to the falls, I get a little envious I’m not down there close and personal. The huge expanse of Lake Constance dominates our view now as we drive along the lake shore before turning off towards St. Gallen and our first glimpses of Alpine peaks patiently waiting in the distance.. But hang on a second, just past Buchs it seems we’re suddenly in Lichtenstein as Vaduz, its tiny capital comes and goes in an instant. In no time we’re back on Swiss soil and finally after some 260k with the landscape becoming increasingly more rugged, we reach the Tamina Valley immortalised in the story of Heidi. The Heidi fountain in the village of Maienfeld is testament to that. So is the historic thermal spa town of Bad Ragaz and the waiting embrace of Grand Hotel Quellenhof & Spa Suites, our luxury bed for night. This quite stunning spa resort, still served by the centuries-old hot spring coming down from the nearby Tamina Gorge, is a haven of five star wellness; all-suite guestrooms, five lavish restaurants, a huge spa and medical centre, a casino, 18 hole championship golf course and a Porsche or a Harley for the exclusive use of its guests! With a quite magical first day and night under our belts, our Grand Tour route takes us up into the mountains. To the rarefied air of Switzerland’s famous ski resorts as we enter Graubünden, changing languages from German to Romansch. We’re climbing steeply now, the bends in the road becoming ever tighter as we reach Davos-Klosters, the twin ski resorts so favoured by our own Royal family. These famous slopes, echoing in winter from skiers and snowboarders are silent save the comforting clang of bells from cows grazing on the lush alpine grass. 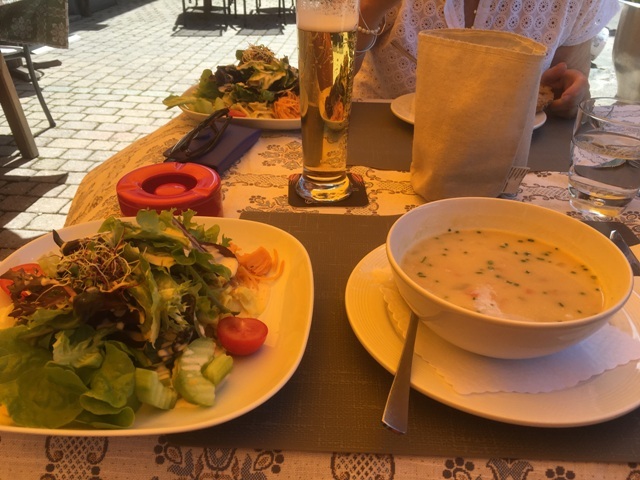 We stop for lunch just before the Flüela Pass at a rustic roadside inn Haus Damiano Tschuggen. Drop dead tasty barley soup (the local specialty) with just the view for company. This is stuff dreams are made of. As we drop down from the summit we enter the Swiss National Park, a place where the natural landscape is fiercely protected. We humans are tolerated providing we don’t stray off the hiking trails, leaving the flora and the Ibex and marmot to flourish freely. It’s well worth a stop so we don some boots and take a couple of hours to explore. Back on the Grand Tour route now and we’re following the Engadine Valley; glacier lakes and soaring peaks around every bend as we close in on St. Moritz, just 40 k away. We’re driving through a long tunnel and suddenly we emerge to the beauty of St Mortiz, the town hugging its enormous lake. They say the sun shines for 322 days here, and I swear even the air smells classy. But we’re not staying here tonight, even though we are surrounded by more Grand Hotels than blades of grass. We are instead, making for Silvaplana, just next door, to the Nira Alpina Hotel, perched right next to Mount Corvatsch. This is a luxury pinewood retreat for people who don’t want formality and fuss, just informal luxury living and, in winter, a unique ski in and ski out experience. I succumb to hotel therapist Anna Marie’s hot stone massage before a wonderful sunset dinner. After an early breakfast we literally step out of the Nira Alpina and take the cable car up to the summit of the Corvatsch and out onto the ice. We’re lucky, the sky is a deep blue and the views across the Alpine range are breathtaking. Mrs M and I have a moment. 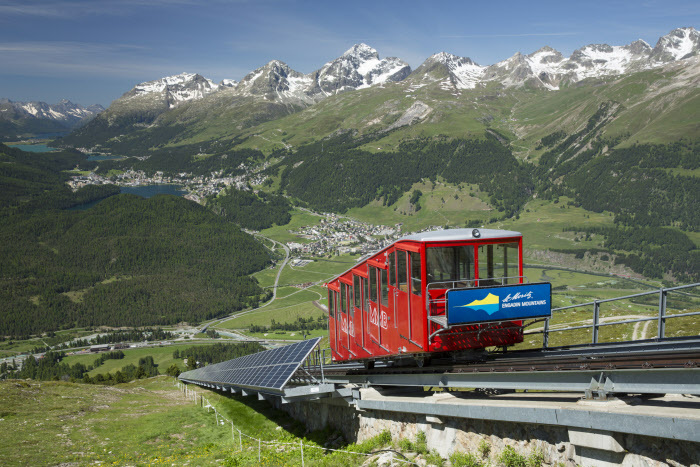 But the Grand Tour is calling once again and we head off towards the Julier Pass and more impossible scenery. My Grand Tour guide book points out the best Kodak moments but who needs them when the opportunities are so relentless. Another bend brings us to the Viamala Gorge; Viamala in Romansch means “bad path” and it was once a notoriously dangerous path for the mule trains between the Splugen and San Bernadino passes. These days we get to just gaze and wonder at this almost mythical natural ravine, where 320 steps take us down to the depths of the gorge carved out by the force of the Rhine waters. We’re dwarfed by monster rock walls over 300 metres high and below us swirling mysterious pot holes makes for an awe inspiring experience. The road gets even narrower now as we pass Splugen a tiny mountain village almost unchanged through the centuries and heralding the gateway to the Italian speaking region of Ticino. We’re on our way around the 17k long San Bernadino pass with its 50 hairpin bends when we encounter our first difficult moment. Clouds descend on us as we near the summit and visibility is almost zero! I slow to a crawl, aware though that behind me is a line of impatient locals who have undoubtedly seen all this weather before. At last the road starts to descend and before long we’re back in sunshine and blue sky, as if that last hour never happened. It is all quite bizarre but thrilling just the same. Now we’ve crossed over into Switzerland’s Italian speaking region, the canton of Ticino and there’s a distinct Mediterranean feel as we pass Mesocco and go on down to Bellinzona. The signposts are in Italian, the architecture is distinctly Italian and there are swaying palm trees lining the road. 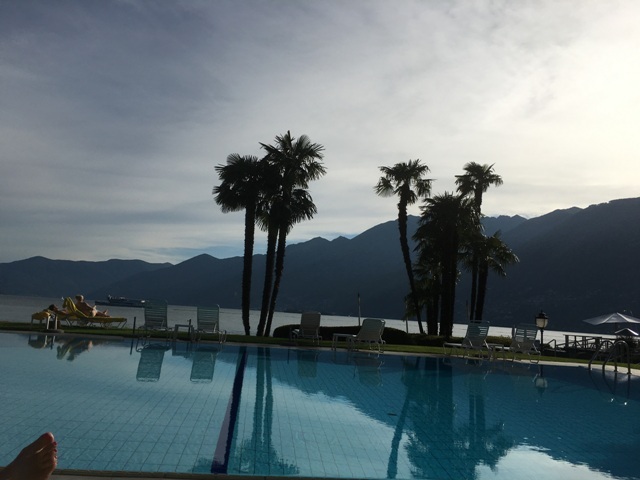 The Grand Tour splits here, a spoke going south down to Lugano and Chiasso and then on to Como and the Italian Lakes, but we’re heading across to the beautiful town of Ascona on the shores of Lake Maggiore. Ascona is buzzing. We’ve arrived in the middle of the annual jazz festival, a somewhat more local affair than its global neighbour over in Montreux. Yet Ascona’s lakeside promenade is packed with music lovers having a ball. Now that’s what I call a warm welcome. The Eden Roc is something of an icon here. A classy retreat from the buzz of Ascona’s old town, it is quite simply a magical place to spend a night. 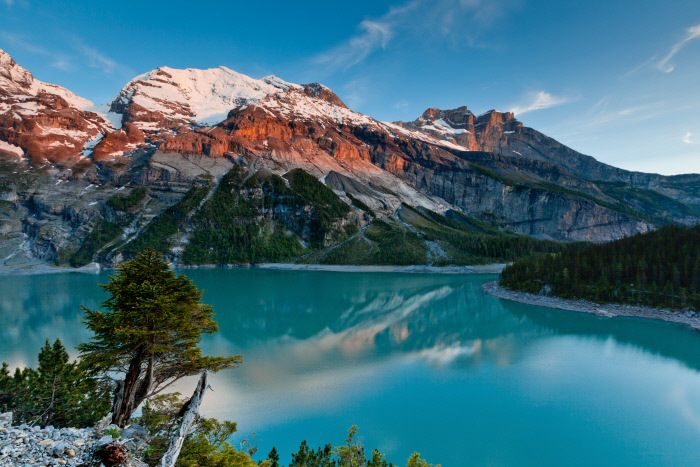 All images (c) Andy Mossack apart from Abendstimmung am Oeschinensee and Road Signs which are (c) Swiss Tourism. Did you book the grand tour to include the hotels and car? The nine day package? I am thinking of doing that with my dad next June so just wondering what your thoughts are with that? Ease of booking, etc. Did you have trouble with language? I only speak French and English. Hi Marcelle Good to hear from you. 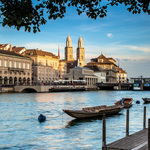 You can indeed book the Grand Tour to include hotels and hire care via the Swiss Tourist Board Grand Tour link https://www.myswitzerland.com/en-gb/grand-tour-of-switzerland.html. I would not recommend the 9 day tour (although you can complete it) but you would not have very much time to enjoy any local sightseeing! If you can, 14 days is a much less stressful drive.